caves in Leeuwin-Naturaliste National park near Margaret River. Fragile caves in Leeuwin-Naturaliste National Park near Margaret River are being used as a rubbish dump. 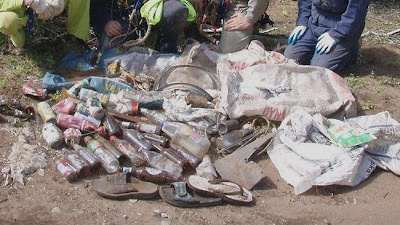 Department of Environment and Conservation caves manager Anne Wood said people had dumped car parts, beer bottles and household rubbish in the caves and vandalised monitoring equipment. “One particular cave that has been littered in is on a rough track that leads to a popular surf location, and people have just come past and thrown in rubbish,” Ms Wood said. “People have also broken into locked, gated caves and left behind empty drink cans and other rubbish, and in another case, rocks were thrown on to sensitive monitoring equipment that is assisting with important research. “It is disappointing to see a small group of people treating these environmentally significant caves with so little respect. Caves are often home to rare fauna and can act as a valuable storehouse of paleontological, hydrological and geomorphological information. Ms Wood said cavers from the WA Speleological Group and Speleological Research Group of WA had assisted DEC staff in cleaning up beer bottles, car parts, thongs and other rubbish. People are encouraged to report littering to their nearest DEC office.